Serving hundreds of satisfied customers since 1975, Swallow Cleaning is your trusted one-stop-shop for commercial cleaning services in Lincoln and the surrounding area. Renowned for our high quality staff, reliability and attention to detail, our many discerning clients know that when you hire Swallow Cleaning – we’ll always be with you on time, every time and clean to your precise standards. Offering complete peace of mind for commercial customers in Lincoln, Newark and Gainsborough, our daily office cleaning services, window cleaning and waste management solutions help you outsource all your cleaning and hygiene tasks with one top quality partner. Professional, flexible and accountable, we always ensure our fully trained staff are overseen by both a contract manager and mobile charge hand – so when you ask for your cleaning to be completed in a specific way, you know it always will be. Our managers also conduct regular spot checks to monitor performance, and meticulously organise our team so you’re never left without a cleaner. call now on 01522 540056. Although increasingly unimportant to many franchise cleaning companies, at Swallow Cleaning we take pride in the high standard of our work and our on-going ability to provide a reliable, transparent and honest service. With over four decades of experience serving the local community, our company has remained a family run firm in all that time – and it’s fair to say we treat all our staff and customers as if they were part of that family. Many of our cleaners and clients have been with us for over twenty years, and some of our senior staff for three decades – so building trusted relationships is key to our success. This is more than just a business for us – we’re passionate about what we do because having high standards matters to all our team and customers too, so we’ll always work hard to maintain our reputation. Facilisis interdum semper. Integer sodales tortor nisl. An ethical commercial cleaning company, we only use branded products that protect our staff, customers and the environment. Deploying ‘green’ hygiene consumables from well-known names such as Tork and Kimberley-Clark, we’re committed to ensuring our cleaning solutions meet the highest environmental standards – giving you complete peace of mind in the workplace. Our family has spent over forty years serving the discerning business community in Lincoln, and our reputation means everything to us. That’s why we promise to deliver a professional, accountable and reliable service to all clients at all times. We will never leave you without a cleaner, and will work hard to ensure every single clean is carried out to both your exacting standards and our own. We’ll do precisely what we say and won’t tie you into a contract. 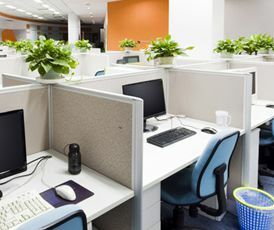 Moreover, we promise to provide a trusted single source solution for all your office and commercial cleaning requirements, enabling you to effectively set and forget multiple in-house cleaning tasks in the knowledge we’ve got it all covered. For a free no-obligation quote on your commercial cleaning requirements, call now on 01522 540056.